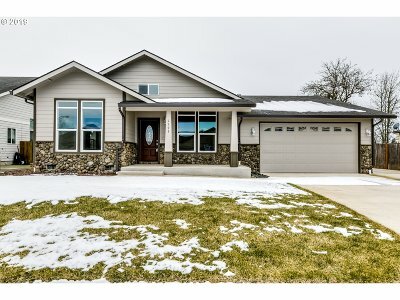 Rustic meets Modern in this Newly Built Custom Home! Enjoy an Expansive Open Floor Plan w/ Large Living Spaces to Entertain your Guests! Awe-Inspiring Great Room Style Kitchen with Handpicked Finishes & Details throughout. Retreat to the Stunning Master Suite w/ Large Walk in Closet, a Private Sitting Room, & Jetted Tub! Outside you will find Large RV Parking, Two RV Dumps, & the Fully Landscaped yard w/ Sprinkler System. See it today!